Your victory over the pain from under pronation begins with getting the right pair of running shoes. Injuries on the ankles, feet and lower legs often occur if supination is not properly managed. So it becomes important to choose the best under pronation running shoes. However, certain essential features must be understood before you begin your search for the right shoe. Some of these features include cushioning, comfort, arch support, breathability and much more. We have however done some research in order to bring you some high performing under pronation running shoes. 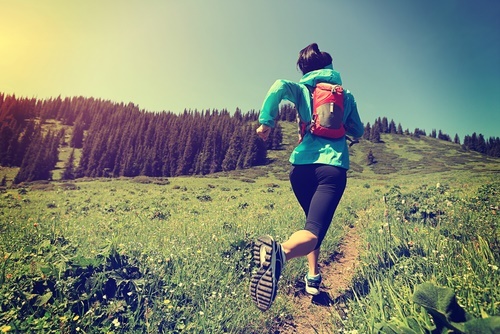 Supination or under-pronation is when the feet roll outward while making a stride. That’s when the body’s entire weight shifts on the outside of the feet. Also, this movement can be quite uncomfortable as and when this occurs. However, unless managed properly, this condition can result in pains and injuries. These injuries are more common among athletes who do not wear the right shoes. 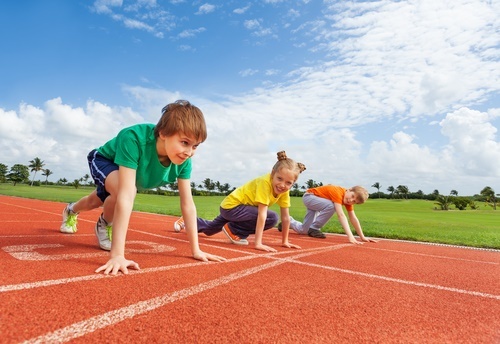 This is because of the high-impact sporting activities that often put more stress on their tendons, ligament, and muscles in the knees, thighs and shins. The consequences are usually grave as the pain caused by these injuries can shift all the way up to the hip and lower back. Cushioning – This feature is one of the most important that must be given priority consideration. Great cushioning in your shoe can to a large extent help your recovery process as an under-pronator. Optimum cushioning is what gives you that glove-like feel in your shoe. Overall, if you are equipped with a properly cushioned shoe, you will have less worry about engaging in any race any time any day as an under-pronator. Arch Support – One of the best ways to combat problems associated with underpronation is by obtaining the required shoe that gives maximum arch support. Great arch support will make you more comfortable while walking, cycling or running. The arch area must be given the necessary attention to ensure that your shoes provide adequate support to it. This is because having optimum arch support will make it a lot easier for foot, ankle and lower leg areas to align properly while running. Comfort – As an athlete that supinates, it is very necessary that your footwear gives the right amount of comfort. You wouldn’t want a shoe that runs too narrow or small at the toe box. Comfort is a feature that must not be compromised or sacrificed for anything else. Breathability – A pair of running shoes with proper air circulation will help keep your feet dry and prevent irritation or blisters around the feet. This means you must look out for footwear made with right material and breathable mesh upper capable of wicking out sweat and other moisture from the foot. Durability – As an under pronating runner you wouldn’t want to be replacing your shoe every month, that may stretch your budget beyond limit as well as be too strenuous on you jumping from one store to another. Durability is a metric used in knowing the quality of a shoe and top quality does not come cheap. Therefore, every cent spent on a good quality shoe is worth the price. There are several shoe manufacturers who design and make shoes fitting for those runners that pronate. As a pronator, choosing the shoes that can best alleviate your pain and manage your condition somehow looks tasking. To lessen this stress on you, we, therefore, suggest some top-notch shoes for supination recommended for you. 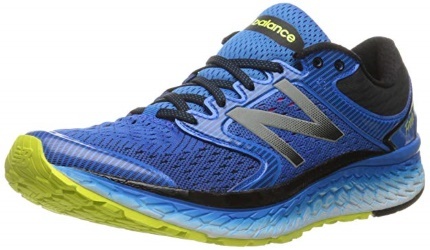 This model of New Balance is a Trail Running Shoe well designed to give maximum comfort and alignment. It provides optimum support for supination with great absorbing features. It is awesomely supportive and long lasting because it comes with special outsole and midsole. Additionally, its IMEVA midsole is contouring, flexible and firm to the foot, making it to optimally support underpronation. Also, its ABZORB technology shields from shock as well as distributes extra energy around the shoe. On top of that, it maximally provides protection from shock and additional support for heel pain using its heel technology. 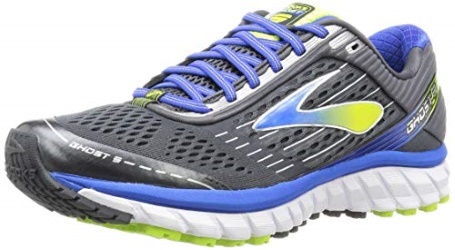 This Brooks Ghost version is designed to be an awesome shoe for underpronation. Brooks Ghost 9 uses its neutral support system to guide against supination while its highly energized foam absorbs shock excellently. It comes with soft, padded tongue and collar that offers good memories around the ankle. It also provides medium to high arch support to manage supination challenges. This arch makes the foot to align perfectly and the contoured midsole gives it a super cushioning. Its mesh upper offers a first class breathability and helps maintain healthy feet by guiding against moisture. Overall, this shoe is well furnished with soft, lush foams to offer outstanding grip and stability. The toe box seems hard and narrow. This model is a stability running shoe made for the road. Saucony Guide 10 comes in both wide and normal sizes meaning there is an opportunity for you to locate a better fit. It has about 8mm heel to toe drop plus a heel height of 27mm. Furthermore, it uses the power of its outsole that features Tri-flex grooves to absorb shock as well as distribute energy across your feet as you hit the ground running. 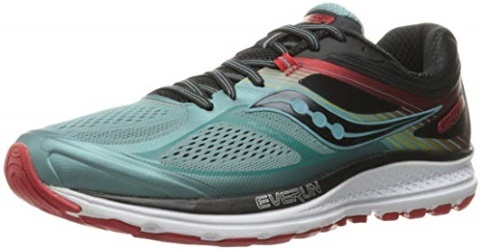 Also, its midsole is made with the EVERUN technology to give you a more agile run. As the EVERUN technology is bouncier, it works excellently with SSL EVA foam to provide stability by keeping your feet in place without resulting in any pain. Moreover, its upper is FlexFilm overlays which offer optimum fit and breathability. 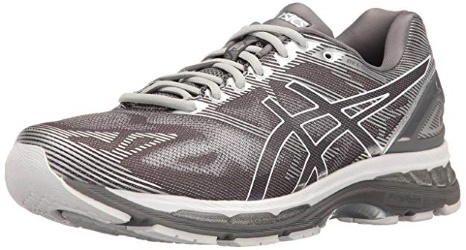 This model is a neutral daily running shoe also particularly designed for use on the road. It comes in a variety of sizes like normal, narrow and wide sizes to help you have a better fit. It has a 10mm heel to toe drop plus 29mm heel height. 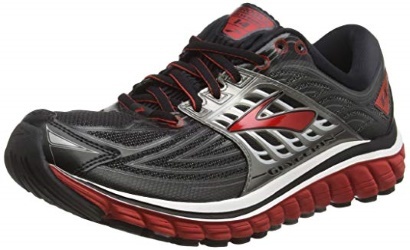 Brooks Glycerin 14 provides an exceptional traction and it is more comfortable for long distance runs. Its outsole is of rubber pods and flex grooves, which offers you a smooth transition while running and provides great shock absorption. Its midsole is of Super DNA cushioning which is very lightweight and responsive. As a result, this gives you better protection. Oerall, the shoe’s upper is built with mesh together with 3D overlays for maximum breathability. 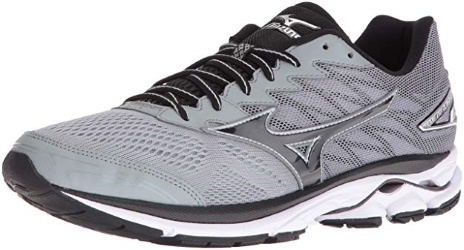 The Mizuno Wave Rider 20 is a neutral daily running shoe that can be uses on roads. You can also use this shoe for many different activities like running, walking and exercising. Also it has a 12mm heel to toe drop and 30mm heel height. Its outsole is X10, which is from carbon rubber for durability. The outsole also provides great cushioning, flexibility and a better responsive footwear. Moreover, the shoe’s midsole is powered by the U4ic technology. This consequently offers excellent shock absorption and a great deal of cushioning. Also, its upper is built with Tripe Zone Mesh material to provide better breathability and a good wrap around the feet. Additionally, the upper also possesses the DynaMotion Fit, a stretchable material, which adapts to the feet properly while running. 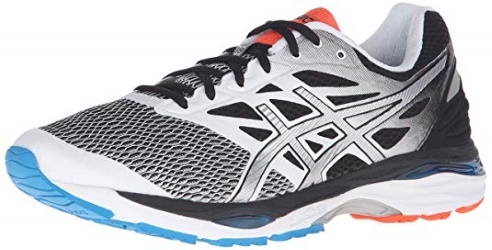 The ASICS Gel Nimbus 19 is made to be an extremely comfortable footwear while offering a great deal of stability. It has a 10mm heel to toe drop for men and 12mm for women. It is also available in normal, wide and narrow sizes to help you have a more fitting size. Its outsole offers extra durability by the power of its High-Abrasion Rubber. Moreover, ASICS uses its DuraSponge technology on the front end of the outsole to keep your foot flexible and make you have a responsive run. Also, this shoe is lightweight because it uses FlyteFoam technology to work upon the midsole to provide excellent cushioning. The well-known ASICS’ gel cushioning in the rearfoot and forefoot absorbs shock whenever your feet hit the ground while running. This ASICS model gives you the needed comfortable run with its well cushioned midsole and awesome shock absorption. Moreover, it has a 10mm heel to toe drop and a 23mm heel height. It is also available in extra wide, wide and normal widths. This means you are at liberty to choose and pick the best fitting one. Furthermore, it offers a smooth heel to toe transition as you make your stride, enabled by its outsole that is cut out at the heel. Its other major features include AHAR+ rubber heel that gives additional support and Omega Flex Grooves. This wraps around the outsole horizontally to enhance the flexibility of the shoe. In addition, ASICS Gel Cumulus 18 comes with COMFORDRY sockliner containing moisture-wicking and anti-microbial properties to keep the feet dry, cool and free of odor. 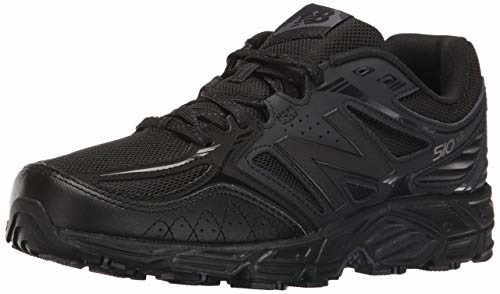 This New Balance model is for comfort and so it has a roomy toe box to enable the feet to spread naturally. It has a 12mm heel to toe drop and 34mm heel height. It also comes in a variety of sizes like normal, wide and extra wide widths. Moreover, its outsole of Ndurance rubber gives it top-of-the-line traction for durability and a comfortable run. Also, the EVA foam wrapped around the midsole gives it maximum cushioning. Furthermore, while the ABZORB foam is placed in the midsole as well, to enable you to have shock free, smoother run. Overall, this shoe is great for those who supinate and desire to engage in long distance runs. This Nike model is fashioned to be an everyday running shoe for the road. It is very comfortable to wear for all types of runs whether sprints or long distance runs. It has a 13mm heel to toe drop and it is available in normal sizes. Its outsole has a Waffle design with small nubs responsible for giving you great traction while running. Additionally, the flex grooves underneath the shoe provide you with a flexible move through your stride. 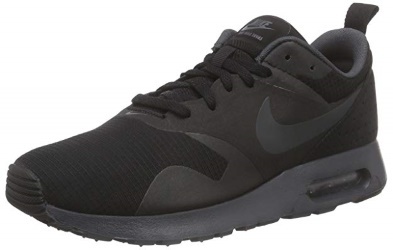 Also, Nike Air Max has a midsole made with Air Max cushioning system in conjunction with gas technology to offer you optimum shock absorption and a responsive feel. Furthermore, to provide you with excellent flexibility and security to your feet, its upper is Flymesh instead of the Flywire cables. 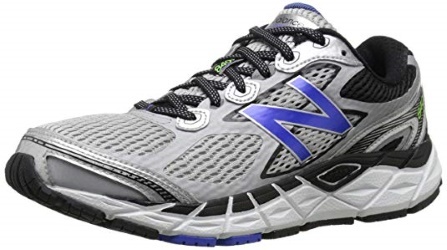 This model from New Balance is one of its highly rated running trainers. It has an 8mm heel to toe drop and 28mm heel height. Moreover, it comes with an extremely breathable mesh upper that keeps the feet dry and cool whether on a medium or long run. Most users reported that the shoe’s OrthoLite sock liner together with the padded tongue and collar offered a great deal of comfort. It also features an Abzorb shock-absorbing heel, dual comfort insole, IMEVA foam midsole, and a rubber wrap to ensure stability. Furthermore, its rubber outsole gives optimum traction while running. Although it is of Fresh Foam cushion, a lightweight cushioning material, it does not cut on users’ comfort. In conclusion, once you are able to lay your hands on the best pair of shoes for supination, there is a big chance that soon enough, you will begin to feel less pain and move more naturally with your stride. It is important however, to know first and foremost whether you are extreme pronation, neutral pronation or mild pronation. You should know this before you consider other factors in making the right choice. Overall, you can be sure that the recommended models have received a greater endorsement from their fans and users.